His win in Augusta shows how a man at midcareer can reform his body and spirit. A major voting rights case turns on a procedural argument that Roberts should be sympathetic toward — if he's acting like a judge and not a partisan. 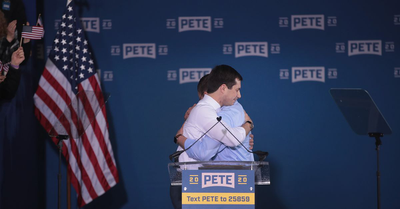 Buttigieg is going for the "hope and change" voters. A decade since the Great Recession hit, state spending on public colleges and universities remains well below historical levels. Given his authoritarian tendencies and public praise for the leadership styles of totalitarian leaders, Trump's casual use of the word "treason" is unsettling.